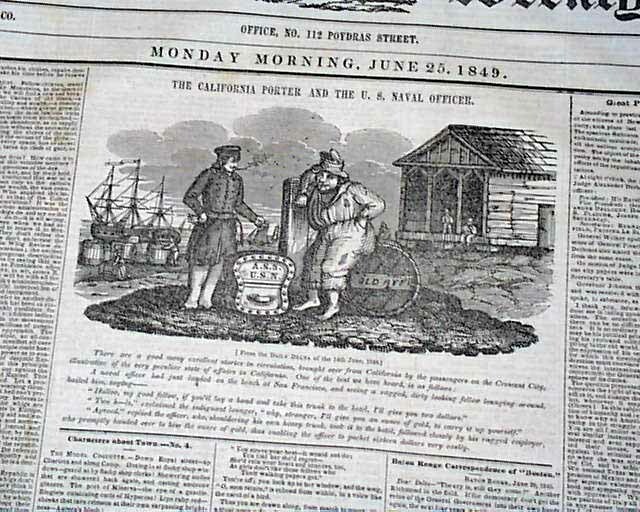 A very unusual issue as the top of the front page features a nice illustration with a California Gold Rush theme, headed: "The California Porter And the U.S. 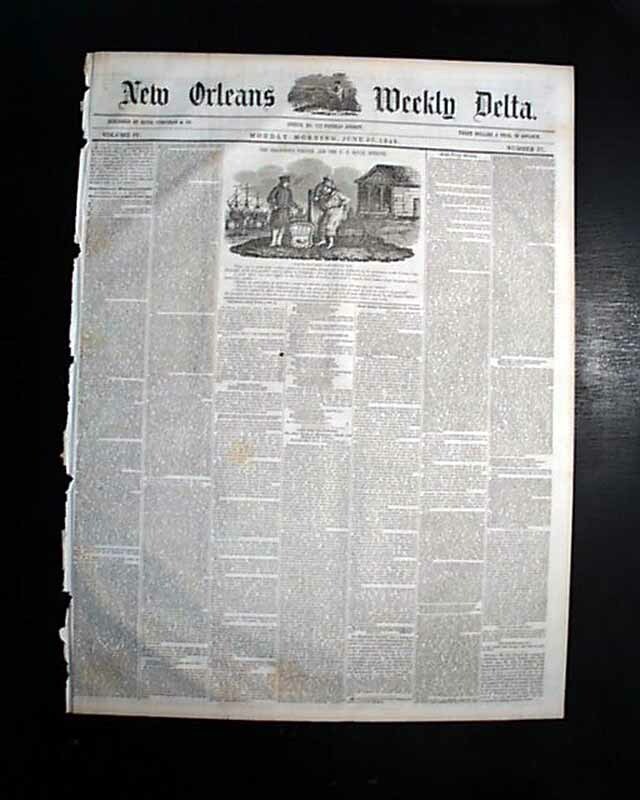 Naval Officer" with a caption which relates the story from the beach at San Francisco (see). 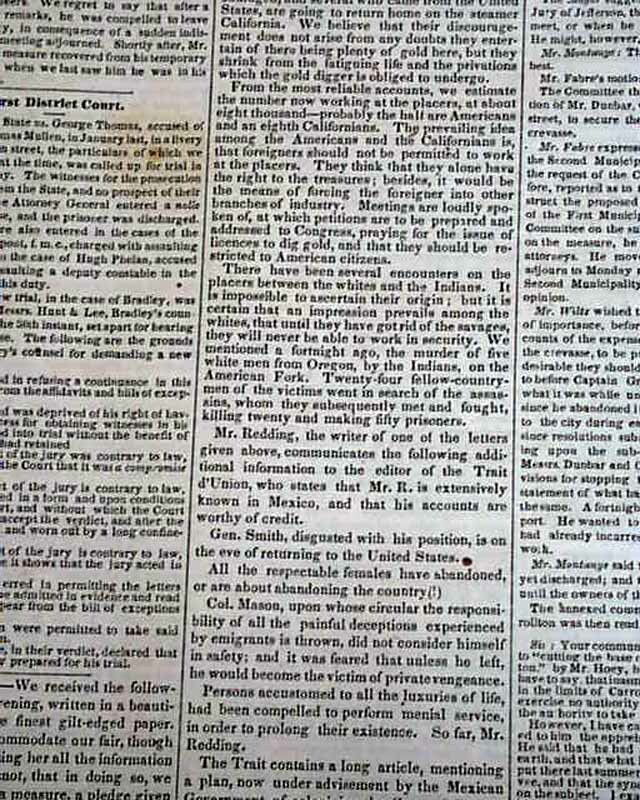 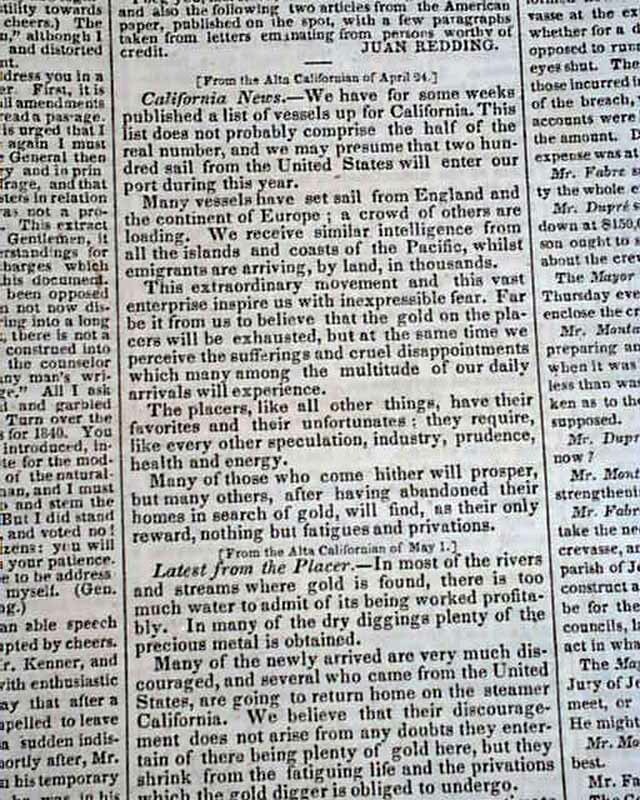 Prints in newspapers from 1849 relating to the Gold Rush are very rare. 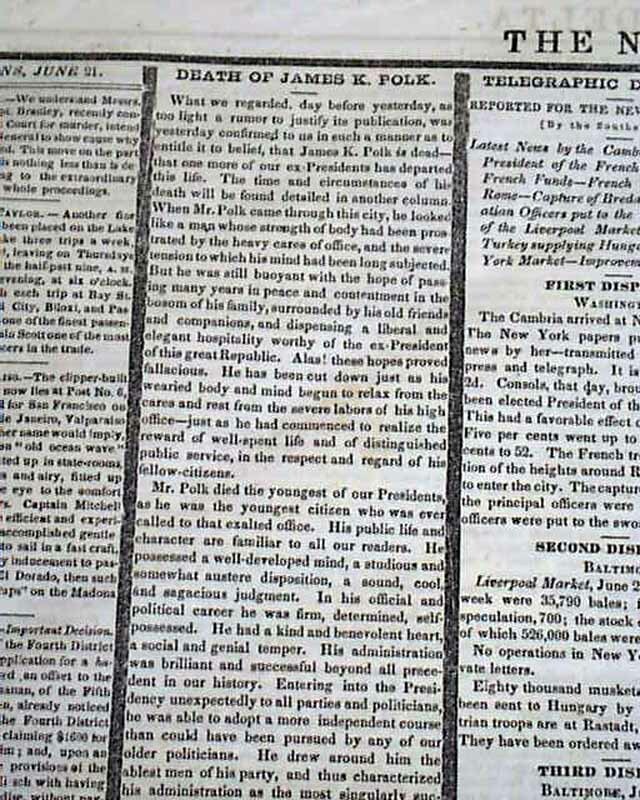 Inside has: "California News", and a report headed: "Death of James K. Polk" with all columns on the page black-bordered.